This Sam Sorgiovanni designed 48 knot Limousine Dive Tender is the other half of an order from a 3rd time repeat client. 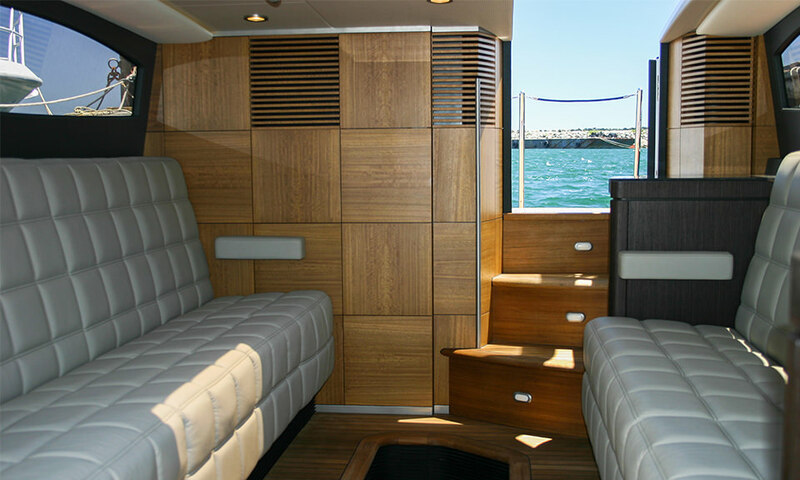 The special Mahogany wood grain effect over composite was applied to match the same finishes on the yacht. 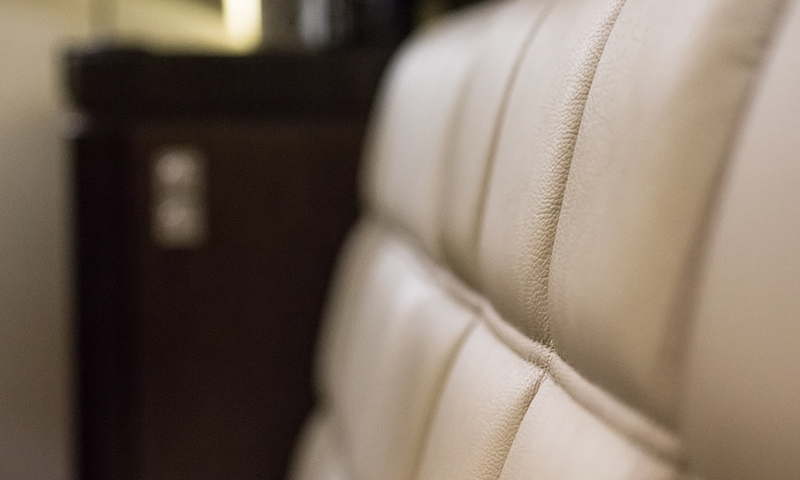 A truly stunning yacht to behold. 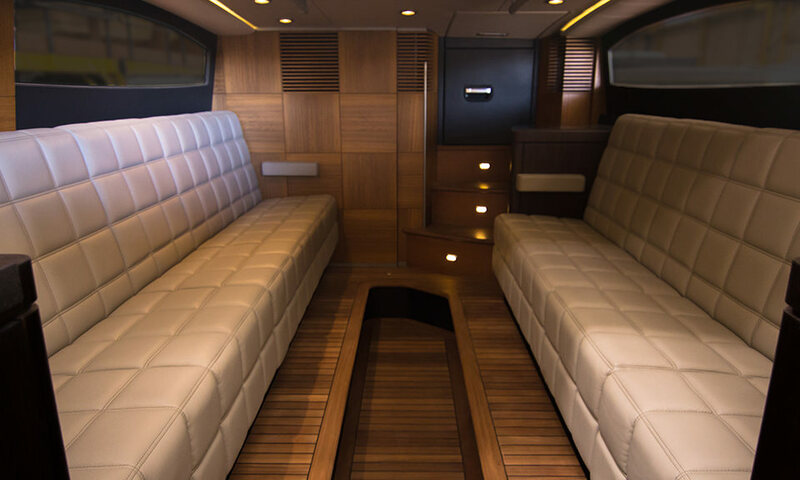 This Limousine tender is equipped with a bow door for beach landing and a large forward entry door to the cabin which can be operated with or without the large roof opening entry. 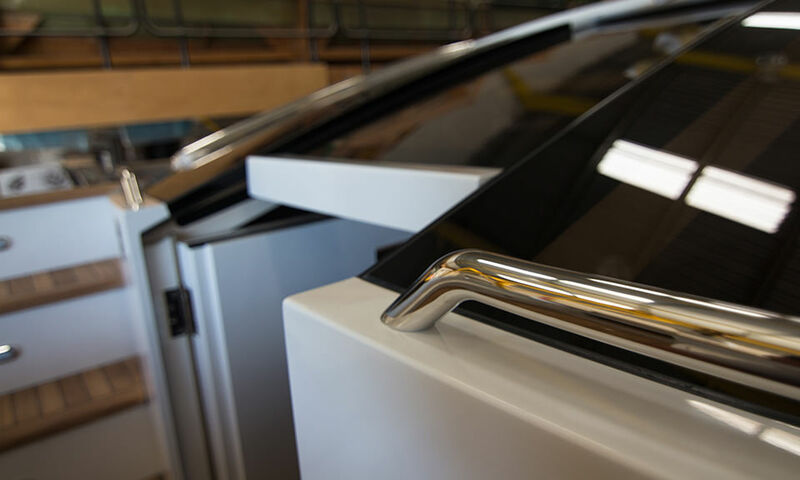 This entry is electrically operated and doubles as a large sunroof, which gives the cabin a nice open feel and can be operated at speed. 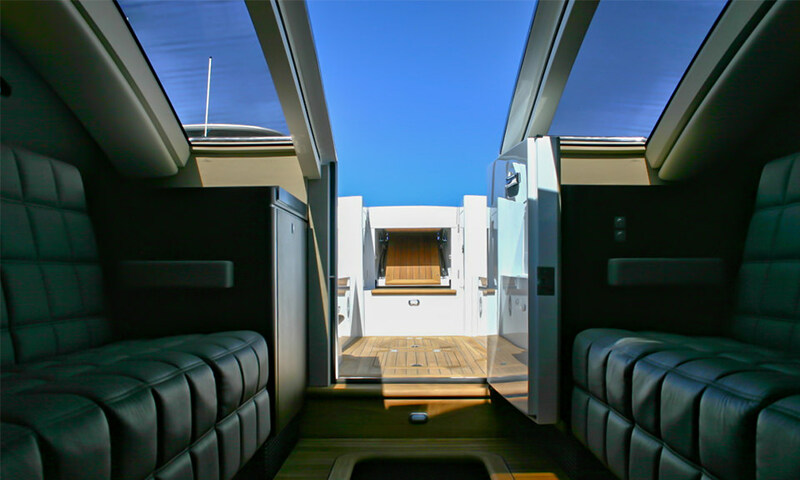 The aft cabin entry adds flexibility to this multi faceted tender. Guests are able to walk from the aft helm through the cabin onto the fore-deck area and through the bow door to access the beach go for a swim or a dive. 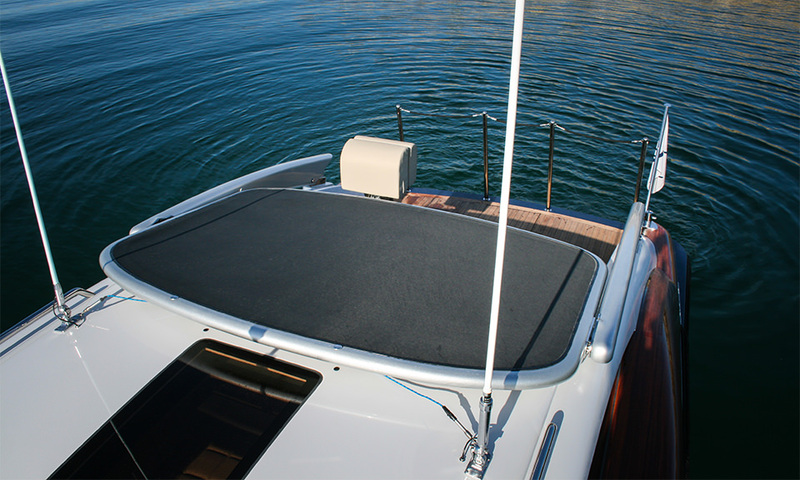 The unusual combination of features include a hydraulic docking leg system which removes the need for cradles when the tender is stowed on board the yacht. 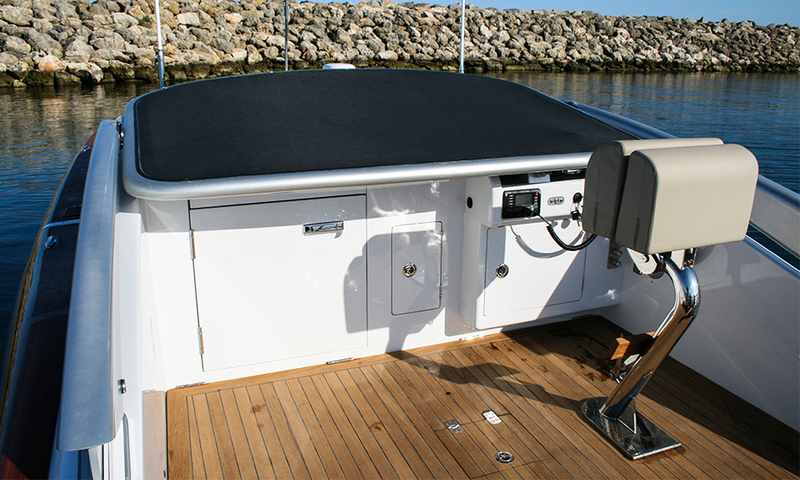 Reverse cycle air conditioning powered by a 240 volt generator, a premium sound system, a fine leather interior and a hydraulically operated dive ladder round out the notable details of this tender.